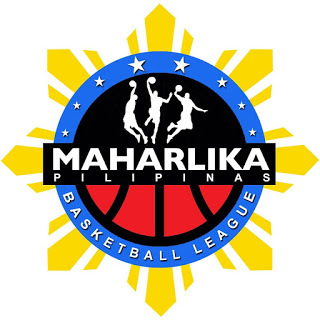 MANILA--Bacoor City came back from 21 points down to stun Pasay, 90-86, in the nightcap of the MPBL Datu Cup twinbill at the Cuneta Astrodome in Pasay on Tuesday. The Strikers burned the Voyagers late in the second half to silence the full-house crowd that appeared to be in celebratory mood already. Pasay got off to a hot second quarter and opened a 53-34 halftime lead. A basket by Alfred Sedillo to start the third gave the team its largest lead at 55-34. However, Bacoor began knocking on the door later in the third, outscoring Pasay, 28-15, in the final 8:08 of the period to trim the lead to eight, 73-65. The Voyagers tried to hang on, but the Strikers went on a 10-3 run to knot the game up at 81-all with 3:46 remaining. Jan Jamon scored four straight points to put Pasay back up, 85-81, but Oping Sumalinog sparked a 7-0 Bacoor rally that put the team ahead, 88-85, with 1:15 left. The Voyagers struggled from thereon as Sedillo could only settle for a split from the line and Jamon failed to equalize after missing his jumper. Sumalinog, however, kept the door open for them as he could only go 1-for-2 as well from the foul line. Ron Lastimosa misfired from deep in their first crack to tie the game, but Shaq Alanes picked Leo De Vera's pass, leading to another chance at knotting it up. Alanes, however, missed his three-point attempt too. Rama Morales still could not put the game away for the Strikers as he missed two free throws with 18.1 seconds to go, but he made up for it with the eventual game-saving steal on Jamon and the win-sealing split with 5.4 seconds to go. Gab Banal led Bacoor, which moved up to 2-2, with 20 points, 11 rebounds, three assists, and one steal. Sumalinog added 18 points, five rebounds, one assist, and one steal, while Mikee Reyes chipped in 17 points, 10 assists, five rebounds, one steal, and one block. Jamon finished with 23 points, seven rebounds, and two assists off the bench for Pasay, which fell to 1-3.